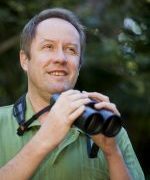 Hugh is the Chief Scientist of the Nature Conservancy, a Professor of Mathematics and Professor of Ecology at The University of Queensland, and a Professor of Conservation Decisions, at Imperial College London. He holds an Australian Research Council Laureate Fellow (2014-18) and is Director of The Australian Research Council Centre of Excellence for Environmental Decisions. •	Several Environmental NGO scientific advisory committees. Alongside Dr Barry Traill, Hugh wrote “The Brigalow Declaration”. This open letter was used by the Queensland Premier Peter Beattie to stop land clearing in the state, thereby stopping 10% of Australia’s greenhouse gas emissions and saving an area the size of Portugal from conversion into farmland. The Possingham lab developed Marxan, the most widely used conservation planning software in the world. Marxan was used to underpin the rezoning of the Great Barrier Reef and is currently employed by more than 7000 users in over 180 countries to build the world’s marine and terrestrial landscape plans. Australia’s Federal Government recently used the software to zone its Commonwealth waters, creating the biggest marine park system in the world and the most profound conservation effort in history. Hugh co-authored two scientific consensus statements that supported the new marine reserve system, which is a quarter the size of Europe. Many governments and ENGOs use his lab’s work for the allocation of funding to threatened species recovery and solving other conservation conundrums. Possingham has co-authored 502 refereed publications covered by the Web of Science (27 in Science, Nature or PNAS) and has more than 15,500 Web of Science citations (h=67). He currently directs two research centres, $20m and $60m, and he has supervised (or is supervising) 58 PhD students and 43 postdoctoral fellows. He has one known psychological disorder – a compulsive desire to watch birds. 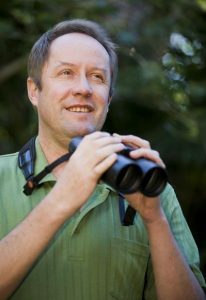 Hugh is the former Director of the Threatened Species Recovery Hub. He is the Project Leader of the Threatened Species Index.